January 16, 2007 – We here at MARFC are very saddened at the news of the passing of Benny Parsons. Growing up here in the Detroit area and starting his racing career on the short tracks of the metro area was Michigan’s Victory in his bright and brilliant career. Benny was one of the very fist champions honored at our earliest banquets. He attended a few MARFC banquet in the years to come. 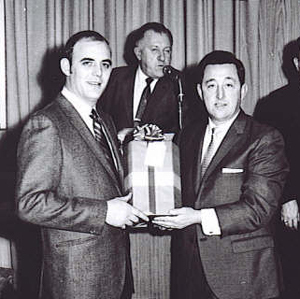 Benny Parsons (left) with Vito Lopiccolo (right) at an early MARFC Awards Banquet. Benny was a people person and fans, drivers, competitors young and old loved to talk to him when ever they could because Benny loved to talk racing to everyone. The sport of auto racing has lost a true legend and he will be missed dearly by many across the country as well as his friends here in the Michigan area. Our thoughts and prayers are with the entire Parsons family at this time. May God Bless and Keep them always. You’re Fans & Friends at MARFC! LAST CHANCE FOR BANQUET TICKETS!!! Doors Open at 5:00 p.m. Dinner served at 6:00 p.m.
2007 has arrived and I am hoping for an excellent racing season for all racers and fans alike. As we are working on our 42nd year we look forward to an outstanding and busy season for all of us here at MARFC. The year will start off with our Annual Awards Banquet this month and continue with our scheduled general monthly meetings until April and then it will be Fan Club Days at our membership tracks through out the racing season. Also in the upcoming months I will be putting together a short section in each of the monthly newsletters on the history and past events of our club. I have asked some of our past Presidents and Board members to write some short articles about something special that happened during their time as a club officer. I think this will bring some fantastic stories from years gone by that will inform our younger members of what happened as our club has grown. Don’t forget it is renewal time. Once again e-mail is the best way to receive your monthly information about our club and if you wish to be added or need to advise us of an e-mail address change please contact as soon as you possible. Don’t wait until it is too late! As always any questions or comment contact me at: Bill Barnhart, at E-mail president@marfc.org. 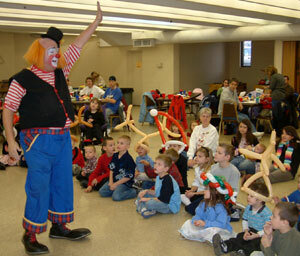 Once again this years Children’s Christmas Party was a great success. 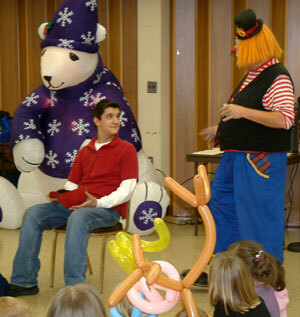 We had nearly 150 children and adults on hand for a fun time with “Fidget the Clown’ who made various hand made balloons for all the children and then entertained them with a magic show. Every Child received a gift from Santa along with a special bag of goodies and all had the chance to win a little extra something during the door prize drawing. There was also a great luncheon for all who attended. All this would not be possible if it were not for all the following people who gave of their time and or donations to make this an outstanding party for all the children.